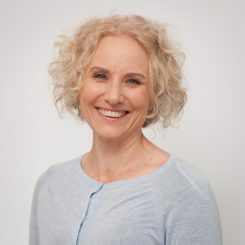 Emily Cooney, PhD, is a clinical psychologist who has worked in the US, the UK, and New Zealand with children and adults in a range of inpatient and outpatient settings, with a particular focus on Dialectical Behavior Therapy (DBT). She is co-director of the DBT and DBT for Substance Use Disorder teams for Yale-New Haven Psychiatric Hospital’s Adult Intensive Outpatient Program. Emily served as a research therapist on two trials of DBT under Dr Marsha Linehan at the University of Washington, and was the principal investigator on two DBT feasibility trials in New Zealand. One compared DBT with treatment as usual for self-harming adolescents, and the other was a field trial of DBT skills training for men with anger-related problems. In addition to providing training in DBT via Behavioral Tech and DBTNZ, she also provides DBT adherence coding for the Linehan Board of Certification. Her research interests include treatment outcome evaluation, adaptations of dialectical behavior therapy, family processes in treatment, and factors affecting therapist burnout and resilience.